Who wants to go on a summer fitness scavenger hunt? Let’s start this week. Join us virtually for The EduNinja™ Fitness & Fun Summer Selfie Contest. It’s easy. Just pick an activity from the list, snap a selfie, #EduNinjaMindset and post to social media. If you don’t want the whole world seeing your pics then just post it to our “closed” eduninja30 Facebook group by “asking to join” and where you’ll be inspiring others. I can’t wait to see those pictures, and I might see you back in Pennsylvania: Phoenixville, Bethlehem, Orwigsburg, Schuylkill Haven, Pottsville, and State College for some summer workouts, book signings, and fun for this EduNinja™Fitness & Fun Summer Selfie scavenger hunt. 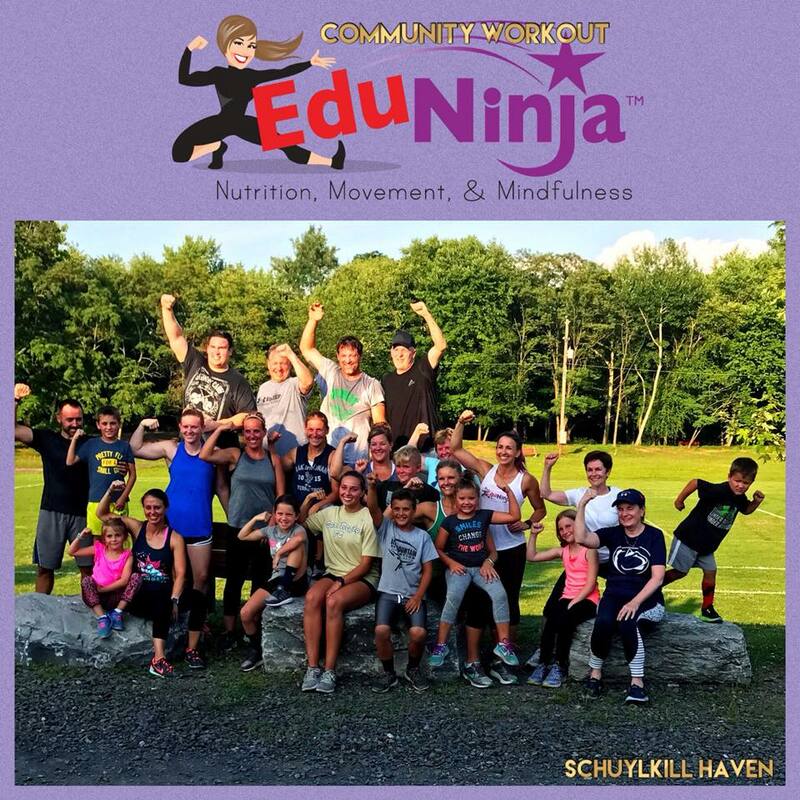 Thursday July 12th 6 PM to 7 PM EduNinja™ Outdoor Workout, Schuylkill Haven, PA - Join us for an all ages workout. Location TBA. All ages, skill levels, and families are welcome and encouraged to join. The best part is the strength you’ll gain from training together as a fun, encouraging, and hard-working group. You'll leave sweaty, make new friends, and inspire others. We can't wait for you to join us! Join us at The Student Bookstore 330 E College Ave, State College, PA on Saturday July 14th and Sunday July 15th for Arts Fest. Jen will be there for a book signing of The EduNinja Mindset 11 Habits for Building a Stronger Mind and Body. Exact times TBA We Are!!!! Hello my friends! I’m grateful to be hosting a few upcoming Twitter chats (#bettertogether June 4th 7 p.m., #tlap June 11th 6 p.m.) the 3rd annual #eduninja30 day health and wellness challenge going strong now, and EduNinja™ Fit kickoff to summer and book release signing at Athleta on June 16th. Please join me with all these fun things on the horizon and thanks for inspiring healthy teachers, students, friends, and families. May 16th marked the beginning of the third annual EduNinja Challenge. It’s not too late to join us. This year's 30 day challenge will again inspire educators and friends to increase physical activity and mindful, healthy eating by connecting and supporting each other here. Please invite teachers, families, and friends to join our group and give themselves the gift of health and wellness this month: May 16th - June 15th. Please follow us: eduninja30 on Instagram or @jennifer_burdis on Twitter. Thanks for inspiring healthy students. Please go to eduninja.net for more information. Are you ready to sneak in a stealth workout with the Eduninja? 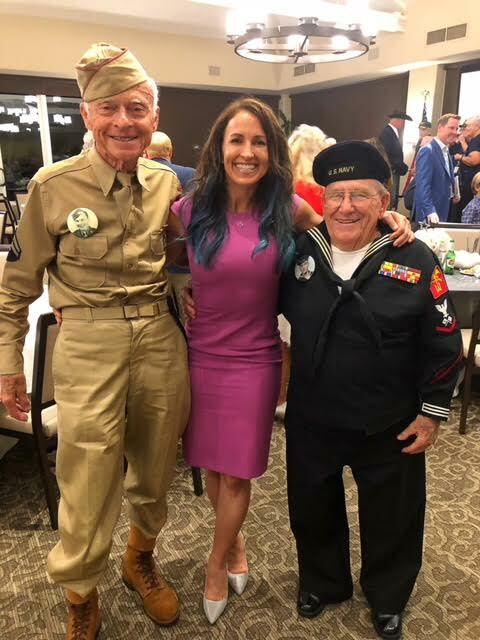 Join Jen Burdis, two-time American Ninja Warrior contestant, educator, author, and trainer as she leads a high intensity interval training session Saturday, June 16th from 9 a.m. - 10 a.m. followed by a book signing of her new book The EduNinja Mindset 11 Habits for Building a Stronger Mind and Body. The best part is the strength you’ll gain from training together as a fun, encouraging, and hard-working group. You'll leave sweaty, make new friends, and inspire others. We can't wait for you to join us! 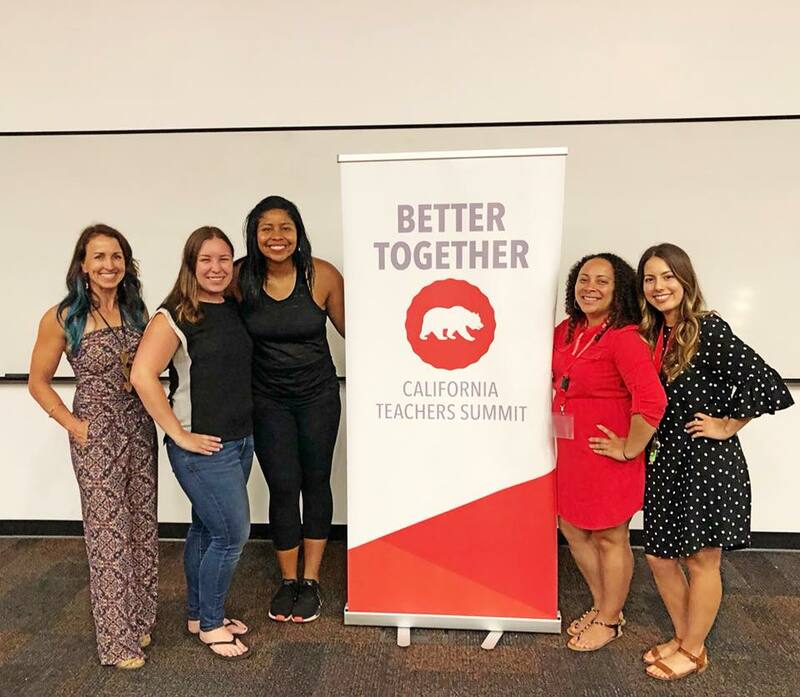 Thanks for inspiring healthy teachers, students, families, and friends. See you Saturday, June 16th at 9 a.m. for this kickoff to summer! Get fit and have fun with this high intensity interval training. This EduNinja Fit Club is a HIIT and a great one to add to your routine. WHAT IS HIIT? HIIT is a training idea in which low to moderate intensity intervals are alternated with high intensity intervals. Exercises in this class range from whole body dynamic bodyweight intervals, to circuits including: jump ropes, light weights, bands, and body balance movements building core strength. This class incorporates everything from sports movements, plyos, agility, strength, and balance. Most importantly, is the strength you gain from training together as a fun, encouraging, hard-working group while independently pushing yourself. All skill-levels and ages are welcome. Each class is slightly different. Know that you won't be bored, you'll leave sweaty, and make a few new friends. We can't wait for you to join us! I'm honored to be hosting the next #EdBeat EduNinja Twitter Professional Development. Join this uplifting #EdBeat EduNinja Twitter chat Wednesday, Sept. 30th as we discuss movement for the mind, body, and soul. Learn ways to incorporate health, wellness, and kinesthetic lessons into the classroom for both you and your students. Why Not Create a Surprise Go Noodle Concert at Your School? Here’s How We Did It. What do teachers, students, and principals all have in common? They all love Go Noodle for inspiring healthy kids. With the help of our occupational therapist, who introduced Go Noodle at a staff development meeting, teachers at our school became passionate about using Go Noodle brain breaks within their four walls. It was time to unite as a school to see what would happen. Thank goodness we did. Our teachers collaborated and created a ten song Go Noodle concert to promote healthy kids, celebrate students efforts, and show unity in a grand finale to our school year. It was epic! So the question you may be asking is how did the teachers pull off a surprising ten song Go Noodle concert for kindergartners through fourth graders that incorporated teachers, custodians, playground staff, tech staff, and even the principal? It wasn’t as hard as you may think. From idea to implementation it took less than two weeks. The whole event stemmed from two teachers wanting to dress up like Koo Koo Kanga Roo’s Neil and Bryan for Halloween, but it was June and they couldn’t wait until October. It quickly turned into a texting frenzy recruiting teachers to collaborate on a surprise concert. We wanted to include everyone, so staff members and K- 4 teachers were e-mailed to see which song their class wanted to perform (without letting the students know they would be performing.) We had a great response, so we booked the auditorium and arranged for the teachers to meet at lunch to practice their Pop See Koo 2.0 moves for the grand finale. ‘Neil’ and ‘Bryan’, the MC’s, got busy writing a script that incorporated lots of dialogue and references to Go Noodle. In the meantime, classes casually practiced and were encouraged to dress in something fun. Ten songs were deliberately selected so we could all experience sending our champ to the transmogrifier. It really was that simple. What a great way to end the year. We saw all types of students thrive on stage, from those who were typically shy and surprised us all by opening up and expressing themselves, to those still learning how to direct their energy in a traditional classroom setting and emerged as rockstars. The whole event unified our school. Hotdog was dancing next to Maximo, Fourth graders were dancing right next to kindergartners, and teachers were dancing in the audience and onstage. Our reading specialist said, “The Performing Arts Center was transformed into a incredible concert for one hour.” It was a truly unique experience where adults and students alike could come together and just focus on movement and having fun. Our tech savvy kids were creating hashtags like: #epic #phenomenal #teachersdressedup and #nailedit! This is one that students will be talking about for a very long time. Thanks Go Noodle, Thanks to our ‘Neil’ and ‘Bryan’ and thanks to the real ‘Neil’ and ‘Bryan’ for inspiring teachers every day to ‘Get Yo Body Movin’. What is your Warped Wall? “Feel your feet first and when you are ready the top will be there.” That’s what an inspirational man at the free running academy told me when I first attempted to get up the warped wall. I’m not ready… That’s not what I wanted to hear. I wanted all 5’ 2” of me to get to the top of the warped wall - on that very first day. My logical side knew it would take a few days but something inside me said, “Maybe if I ran faster, jumped higher, leaned back more?” Nope. I tried. I took and implemented every little hint a passer by would call out to me as they flipped or ran past. People on the trampolines were starting to notice, wondering if I could get it. But I couldn’t. A birthday party was getting ready to come into the gym, and I was forced to drive back to San Diego - not getting up the wall. The next day, I started running, hiking, and doing stair jumps; but was I really listening to the advice of a wise man in the gym that day? Stay grounded, feel your feet, and when you are ready the top will be there. Can’t I just make it happen sooner if I try harder? Even sitting here today, I looking back feeling sad that I didn’t make it to the finals of American Ninja Warrior. Yes, it was my first time trying the course. Yes, people have been so kind with their support. Yes, I am a stronger and a better person from the time I ran the qualifier. But couldn’t I get to Vegas the first time? That’s what I was training for. Even after running the course, I was hoping for a wild card position. Why wasn’t I just feeling my feet? Enjoying the experience? Feeling happy like everyone else for the opportunity? Why wasn’t I focusing on being grateful for the new friends I made, the new ways to train, the overall amazing experience? Instead, I was still hoping, looking ahead, wondering how I could train differently, or train harder to beat this obstacle like the mini trampoline or that one like the warped wall. That certainly isn’t feeling your feet. That’s like running so fast that you can’t feel your feet at all. But not completing the American Ninja Warrior course is like not submitting your opponent in a UFC fight. You are leaving it up to the judges, and in that reflection you see - you just weren’t good enough, strong enough, fast enough, or bold enough to make it this time. So what do you do? Well, you don’t give up. Maybe you adjust your perspective or expectations. Maybe you accept that your performance was okay for the first attempt because that’s exactly what happened. It was your best effort. No judgement. Maybe sometimes you just think you can do more than you really can - before you are ready. Maybe it was just too soon. What I learned was I wasn’t feeling my feet and instead focusing on the outcome. I always need to pay attention more, feel more, share the good and the bad more. I need to feel and share the times of trying to get up the warped wall and not worry about when I’ll get to the top. Everyone has their own warped wall. How are you getting up it? Are you enjoying every second - totally present and sharing your honest experiences? Are you pretending to enjoy every second? Are you bummed cause you can’t get up your warped wall? Or are you trying to race up too quickly? I learned when I focus on feeling my feet, the top will be there. How about you? What is your warped wall and how are you going to get up it?